Megan McCain weaves attack on President Trump into eulogy. Trump does not turn other cheek, answers her on Twitter. 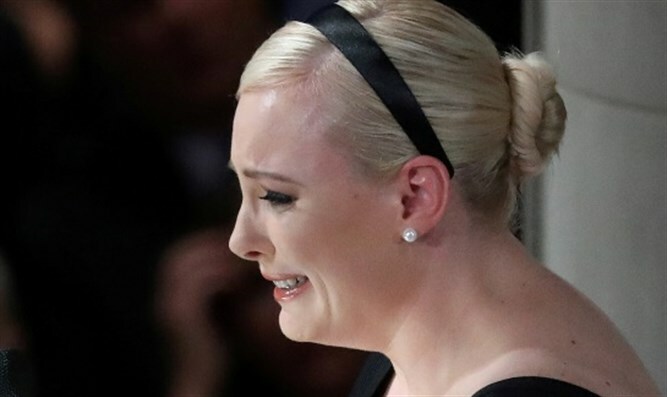 Senator John McCain's daughter Megan McCain used the eulogy for her father to snipe at President Donald Trump on Saturday. Trump did not remain passive and answered her on Twitter. "We gather here to mourn the passing of American greatness; the real thing," McCain said. "Not cheap rhetoric from men who will never come near the sacrifice he gave so willingly, nor the opportunistic appropriation of those who lived lives of comfort and privilege while he suffered and served." "The America of John McCain has no need to be made great again, because America was always great," she added. Other speakers at the funeral also used the stage to criticize Trump. Trump replied to McCain with a tweet in which he only wrote: "Make America great again!" There was fierce hostility between McCain and Trump since the Republican primary in the last presidential race. At McCain's request, Trump was not invited to the funeral.